In August I read a total of 6 books! I owe this success mainly to the BookTubeAThon, during which I read 5 books in rapid fire reading mode. 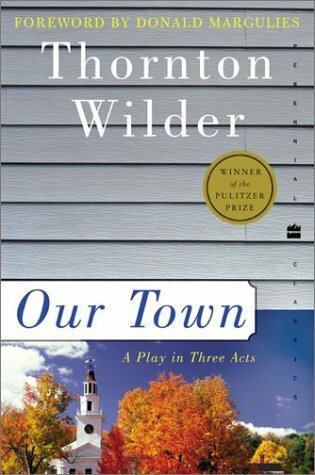 My favorite book was Our Town by Thornton Wilder. It’s just such a simple, sweet, and stirring story that I couldn’t help but love it! Review to come! I thought I would be able to read more this month, but I was honestly so busing working, interning, and preparing for college that I hardly had time to do anything else! Still, I’m really happy that I was able to read six books, since five seems to be my monthly average. 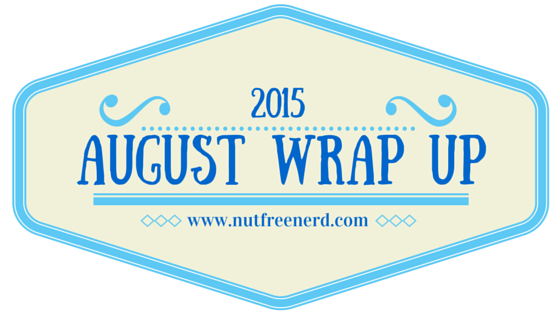 August was such a busy and exciting month! Between having fun with friends and saying goodbye before move-in day, I experienced the full spectrum of emotions in just one month. By the time you read this I will have already moved into college and had my first full day of classes, but as I write this I am still sitting at my desk at home. It’s been a crazy month, to be sure, but definitely a memorable one! This summer I had my last day of work, interned two days a week at an attorney’s office, spent a lot of time with my friends, and tried my best to appreciate my last days at home before college. I can’t even believe that it’s finally here!! Blogger Recognition Award: A Look At My Original Blog! Packing for College: Supplies Haul! In case you missed it, I participated in the BookTubeAThon from August 3 to August 9, and I had such a blast! I was also featured in Book and a Beverage over at the blog A Book Addict’s Guide, where I talk about my extreme affection for tea and Jane Eyre. AND THEN I wrote a blog post for the official NaNoWriMo blog, which they posted this month! You can see it by clicking here. It’s about my experience participating in Camp NaNoWriMo this past July, as well as some writing advice. It was so fun to write and I’m so grateful I got the opportunity to be featured on their blog! Here is a sampling of posts from some lovely bloggers that I just NEED to share with you all! Girl Offline: What A Week of Social Media Silence Taught Me @ Stay Bookish: I really admire the fact that Hazel willingly did this challenge, because it’s something that I’ve also been contemplating as well. Since the beginning of the summer I have felt myself gravitating more and more towards social media (probably because I have so much free time until school starts!). I think sometimes we all need a little break from internet world- kudos to Hazel for putting her thoughts into actions and making the change! Young Adult Fiction for Fans of Doctor Who @ Wrapped Up in Books: I love Doctor Who, so when I stumbled upon this list I did a little happy dance in front of my computer! I really like how it’s separated into different aspects of Doctor Who, and I’ll probably check out some of the time travel ones. SO excited for the new season of Doctor Who- any Whovians out there reading this? Review Writing: How to Stop Hating It @ Bookmark Lit: I enjoy writing reviews, but I know a lot of book bloggers think it’s tedious. My only problem with writing reviews is that I tend to not write them right after finishing the books, so I have to do a million all at once. Lauren shares some great tips for dealing with this problem! 17 Amazing Things About Reading in the Fall @ 101 Books: It’s like this post knows me personally, I swear. Fall is my favorite season, and I always associate it with reading and writing. The reasons he lists in this post are perfect! How was your August? What books did you read? What fun things did you do? Let me know in the comments section below! Sounds like you had an amazing month! 🙂 I hope September will be just as good or even better!